'It is difficult to over-estimate the importance of the various Nieuport types that served with the British flying services. 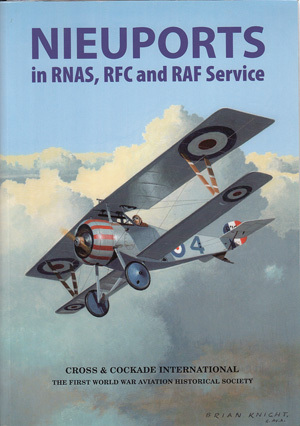 The RNAS initially placed orders, and the RFC was quick to follow. For the RNAS the two-seater variants were a great advance over the Henry Farmans and Caudrons they were currently employing, with a greater rate of climb, higher speed and heavier armament. The single-seater versions were the RNAS’ first true fighter and were the mainstay of the Service until the arrival of the Sopwith Pup and Triplane.